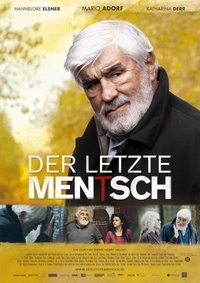 Marcus (MARIO ADORF) is a survivor of Theresienstadt and Auschwitz. His survival strategy after the war was creating a new identity for himself in Germany, one without Jewish friends or ties. Now faced with his own mortality, he suddenly decides he wants to be buried in a Jewish cemetery. To his surprise, he must first prove that he is actually a Jew. But with all his family gone and no remaining records, he has no evidence, save for the faded tattoo on his forearm. He needs documents or testimony. In order to procure documentation, Marcus goes on a road trip to Hungary, the country of his childhood, with Gul – a young, German Turk (CATHERINE DERR).